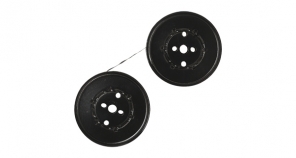 New DataProducts R3400 Black Ribbon for the DEC LA120/ LA180, Texas Instruments Omni 800 Series printers. Replaces the DEC LAXXR-12 ribbons. 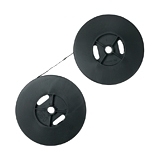 New DataProducts R3410 Black Printer Ribbon for the Texas Instruments OMNI 800/ 810/ 815/ 817/ 880, ADC Advent 1000/ AT&T Dataspeed/ Dataspeed 102/ Dataspeed 154/ Dataspeed 202/ Forms Access printers. 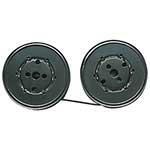 Replaces the Texas Instruments 996241-0002 ribbon. Genuine Texas Instruments 2246601-0003 black dot matrix ribbon designed for the Texas Instrument OMNI Model 810 / 880 / 885 , DEC LA30 / LA36 / LA40, IBM 1103 / 1440 / 1443 / 1445/ 1620 / 1980 / 2201 / 2203 / 2206 / 2306 / 2560 / 2780 / 360 / 368 / 3780 / 3985 / 719 / 720 / 730 dot matrix ribbon printers.